Our fee for an educational session for real estate associations, boards and large groups is $1,500. However it is free for real estate associations, brokerage companies and organizations or any real estate brokerage group in consideration of allowing us to do an 8 minute commercial on our services. More details on booking this seminar for your company or organization. For those who have had the seminar and would like a follow up, please do not hesitate to contact us anytime. Presentation for your Company, Real Estate Association, Group, Organization, etc. We help improve the productivity of all salespeople. We help enhance the use of tools you have now. Relevant audience topics designed to fit your meeting time 1-2 hours. For Buyers and Sellers, tenants looking to lease space. Real estate topics to suit investors, buyers, sellers, developers, tenants, owners and more. Internet Number 1 Marketing Tool in History. The Impact of the Internet on Commercial and Residential Real Estate. Profile of the Internet User. Cutting Edge Technology using the Internet. Profile of people using the Internet. How information identifies people with whom you can do business. Powerful features of the Internet. Print and Newspaper versus the Internet. Email - group sends, list services, automatic generation to reach thousand. Email - automatic drip marketing campaigns. Web Sites - A platform to communicate. Web Sites - Search Engine Optimization and strategies for all your web sites. Web Sites - Philosophy of a web site. Without this knowledge you can still be missing doing business and not realize it. Web Sites and information - Material Defects - Why some are making money and others are not. Information - Open and exclusive listings - a model that works. One thing better than listing and selling real estate. Number one thing public wants. Number one thing realtors can give. Number one thing they are not doing. Number one thing so easy to do. Training - upgrading skill talents, information handling value added services. Broker’s biggest responsibility regarding important information. 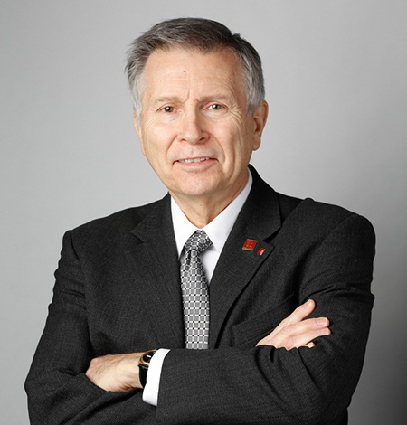 Gary Nusca, CCIM has been in the real estate business since 1972. He studied engineering in university. He has owned, managed real estate on his own account and has managed real estate brokerage offices, and has been involved in over 1,000 transactions. He started his CCIM education in 1985 and obtained his CCIM designation in 1993. He is Past President of the Central Canada CCIM Chapter, Past Chairman of the CCIM International Commercial Real Estate Conference at the Westin Harbour Castle Hotel in Toronto 1999. He has participated and has participated and helped run many Have and Want Marketing Sessions where in some cases over two hundred million dollars have been presented over a one and two day period. Since 1990 he has specialized in helping registered real estate brokers and salespeople make money using computers, information technology and the Internet in the commercial and residential real estate business to serve the public. Now his service has a major residential component that is helping all residential salespeople as well as commercial real estate salespeople take advantage of the Internet through powerful tools. Residential and commercial real estate offices too numerous to mention. Literally any and all real estate brokerage offices world wide. We help improve the productivity of all salespeople. seminars and recent past seminars. Call today to discuss a potential presentation, cost and arrangements for your company, group meeting or function. Call Gary direct 416-214-4875. Typically cost is $1,500 + travel and accommodation, for real estate boards, associations and real estate conferences. However it is free for companies and others in consideration of us doing a short commercial on our services. We usually get 50% plus of people attending subscribing for our services. It is inevitable that they bring in more business for your office. Today his company ICIWorld.net is one of the largest in the world, with literally tens of thousands of unique viewers, over million hits per month, with 50-100 listings per day coming on line, over ten thousand of EMails distributed daily. There are over several computers doing various things with the main server in San Jose, California. Programming is by a former senior search engineer from the Nortel Corporation. There are several hundred members reporting deals regularly. He has served on the Executive of the Central Canada CCIM Chapter for many years and resides in Toronto and is engaged to be married. He has one son who is attending university in a business program. Sessions can be long or short tailored to your situation. Topics to suit the times and group. Typical session is 120 minutes with a Power Point Presentation simultaneous with live on the Internet demonstrations. Company in house presentations average 60-90 minutes depending on agenda. 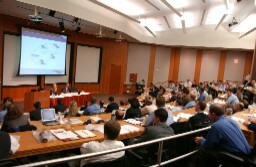 Seminars are designed to fit residential real estate offices, commercial real estate offices or a combination of both. Optional: Members move to your computer room for on line live training. 2-3 persons per computer. We supply one overhead LCD projector for a very hi tech presentation. With two projectors, Power Point will run on one, while demonstrating points on the Internet. You will need to supply a room with table and chairs, or classroom or theatre set up, a screen or wall to project on, for demonstration purposes. Depending on size of audience a lavalier (microphone) to be supplied. Optional: You will need to supply high speed Internet access. A lot of money is being made with commercial real estate information. This presentation will demonstrate and teach techniques and provide skill talents on how to take advantage of the Internet. The bottom line is it helps you provide better services for yourself and others to work smarter not harder.